Wouldn’t it be great to water your greenhouse without leaving your chair, or open your garage door remotely? Rather than let your Arduino sit on a shelf gathering dust (we’re all guilty of that from time to time), engage it as the key component of some home automation projects. We’ve compiled this list of five to show you just what is possible. Switch Lights, TV, Anything On and Off! One of the great things about Arduino home automation projects is that with the addition of an Ethernet shield The Top 4 Arduino Shields To Superpower Your Projects The Top 4 Arduino Shields To Superpower Your Projects You’ve bought an Arduino starter kit, you’ve followed all the basic guides, but now you’ve hit a stumbling block - you need more bits and bobs to realise your electronics dream. 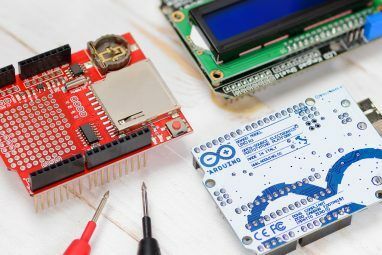 Luckily, if you have... Read More , you can turn your Arduino into an Internet-connected device, able to switch lights, TVs, coffee machines – pretty much anything you can think of – on and off, using either a browser-based interface or a timer. See my littleBits infra-red light switch project How to Switch on Lights Remotely Using Cloudbit How to Switch on Lights Remotely Using Cloudbit The littleBits Smart Home Kit does more than just look pretty. It is a fully-functioning DIY smart home solution. We can use the kit with a remotely-activated light switch with ease. Read More for a proof of concept – the same can be done with an Arduino. You don’t have to limit your Arduino illumination projects to standard on/off lights either. Internet-connected ambient lighting such as the Philips Hue range can be automated with an Arduino How to Control Philips Hue Lights from an Arduino (and Add a Motion Sensor) How to Control Philips Hue Lights from an Arduino (and Add a Motion Sensor) Today I'll be showing you how to control your Hue lights from an Arduino - then adding a simple motion sensor. Read More , too. Technology has benefitted homeowners concerned about the security of their property, with an increasing number turning to PC-based home security systems. Whether you’re using a Windows computer to run your security solution Use Your Webcam For Home Surveillance With These Tools Use Your Webcam For Home Surveillance With These Tools Having your own home surveillance system can be a powerful deterrent to would-be intruders, snooping roommates, or frustrating co-workers. Here are 6 great options for webcam-based surveillance products you can use today! 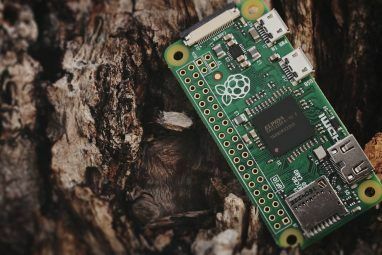 Read More , a Raspberry Pi motion-capture security camera Build a Motion Capture Security System Using a Raspberry Pi Build a Motion Capture Security System Using a Raspberry Pi Of the many projects that you can build with the Raspberry Pi, one of the most interesting and permanently useful is the motion capture security system. Read More or even relying on old smartphones to monitor the comings and goings How to Use an Old Smartphone or Tablet as a Security Camera How to Use an Old Smartphone or Tablet as a Security Camera Learn how to easily set up your Android device to act as a home security camera! Read More on your property, there is an affordable solution for you. Arduino can help automate home security further, providing a compact, all-in-one solution for controlling motion sensors, alarms, cameras and a PIN-controlled activation/deactivation. This scale model demonstrates perfectly how an Arduino Mega 2560 can be the key component of a home security system. All of that for just $168? Bargain! If you have a garden that you need to water regularly – perhaps you love flowers, or you have a greenhouse with tomatoes and cucumbers that you’re looking forward to eating – staying on top of watering your garden or greenhouse can be challenging if you are travelling or have to go out for the evening (you should avoid watering anything in the day, as it may act as a lens for the sun to burn the leaves). The solution is automation, and the Arduino – christened “Garduino” in this video – is the key. Using specialized soil moisture and temperature sensors, the Arduino can detect when plants need watering and dispense the water. Perfect! Worried about Fido getting his nutrients during the day? Prefer him to be eating out of a bowl rather than foraging and hunting? There is a solution, and it is Arduino-shaped. With an Internet connected feeder, you can send your dog or cats food on demand, or at scheduled times using a cron job 5 Beginner Linux Setup Ideas For Cron Jobs & Shell Scripts 5 Beginner Linux Setup Ideas For Cron Jobs & Shell Scripts With bash scripting, you can do a complex series of tasks in one quick go so it's great for elaborate and repetitive needs. It's also a great way to get to know terminal. Read More (a pre-defined schedule saved to the device). 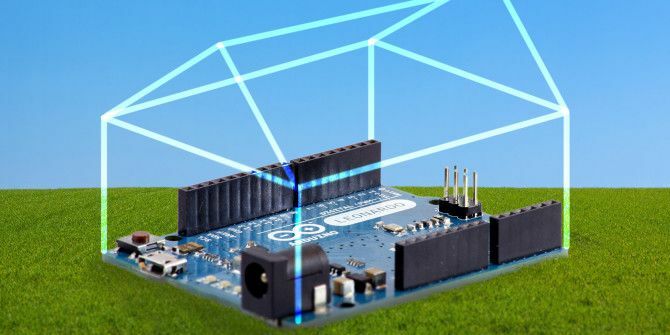 As demonstrated here, you’ll need an Ethernet shield connected to the Arduino. You’ll also notice an alarm in the video, which the cats in this scenario understand is a sign that it is time to eat. As you can see, there is a servo controller unit that sits between the Arduino and the feeder, but perhaps the most impressive element of this build is the mobile-friendly web interface for feeding the cats. Not only is all of the above possible, home automation doesn’t stop there. One of more Arduinos can be used to automate a LEGO trainset, as illustrated here in this video. The designer states in the video notes that four Arduinos are in use, an Arduino Mega 2580 at the heart of the project communicating with two Arduino Unos, one at each station, and a fourth controlling the motor on the robotic arm. Amazingly, this video doesn’t even demonstrate the project working at its optimum, as the uploader describes a communication problem between the Arduinos. Nevertheless it is an impressive construction, and an excellent use for Arduinos. However, it is quite ambitious, so we suggest that if you’re new to electronics and/or Arduino that you check our list of 10 Arduino projects for beginners 15 Great Arduino Projects for Beginners 15 Great Arduino Projects for Beginners Interested in Arduino projects but not sure where to begin? These beginner projects will teach you how to get started. 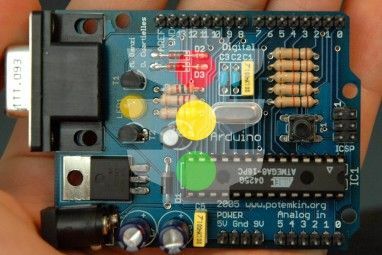 Read More , as well as our unofficial Arduino user guide Getting Started With Arduino: A Beginner's Guide Getting Started With Arduino: A Beginner's Guide Arduino is an open-source electronics prototyping platform based on flexible, easy-to use hardware and software. It's intended for artists, designers, hobbyists, and anyone interested in creating interactive objects or environments. Read More . Are you automating anything with an Arduino? Perhaps you’ve been dreaming of automating your greenhouse watering? Tell us about it in the comments.